Auckland teenager Breanna Morris put in one of the drives of Sunday’s opening Hampton Downs Top Half kart series meeting in Hamilton to claim an impressive win in the reverse grid Spartan Auto Dismantlers Junior Rotax class Dash for Cash race. Earning $500 for her efforts the 14-year-old female racer from the North Shore started the Giltrap Group/Robert Cunningham Construction/Duffett Doors backed race from P19 on the grid but made up 13 places on the first lap, another on the second then the other four on the third to take a lead she would never lose on the fourth. In a field packed full of some of the country’s top Junior talents it was a performance of the first order, Morris leading home top Hamilton foursome Connor Davison, Clay Osborne, Asten Addy and Ryan Hancock on their home track. One bad heat meant that Morris finished 11th in the overall Spartan Auto Dismantlers Junior Rotax class standings, however, that win going to Josh Richmond, and the win in the Supreme Kart Supplies Vortex DVS Junior class run concurrently to fellow Aucklander Ayrton Williams. 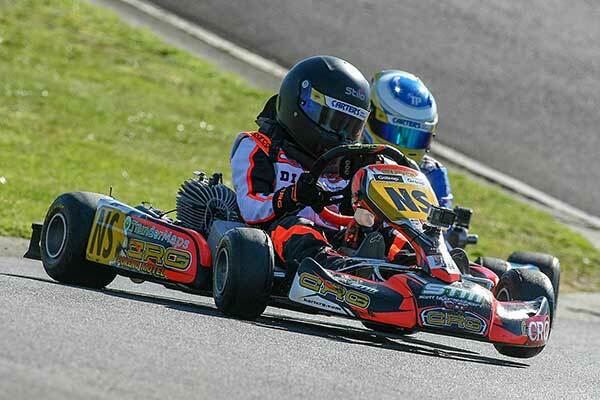 The other winning Junior class drivers were recently crowned class National Schools’ title holder Mitchell Sparrow (Supreme Kart Supplies Vortex Mini ROK), and Riley Boswell (International Kart Supplies Cadet ROK). With four wins from five heat races Sparrow was the star of the Vortex Mini ROK class, leading home the only other heat race winner, Tom Bewley from the Hawke’s Bay , and young Tauranga driver Jay Urwin. It was closer in Cadet ROK but with two heat wins to his credit Riley Boswell claimed the round win by two points from heat one winner, Mitchell Corin with heat three winner Jamie Thompson third, another two points back. It didn’t take long, meanwhile, for former category front-runner Graeme Smyth to return to his winning ways in the Westspeed Motorsport KZ2 Senior class. 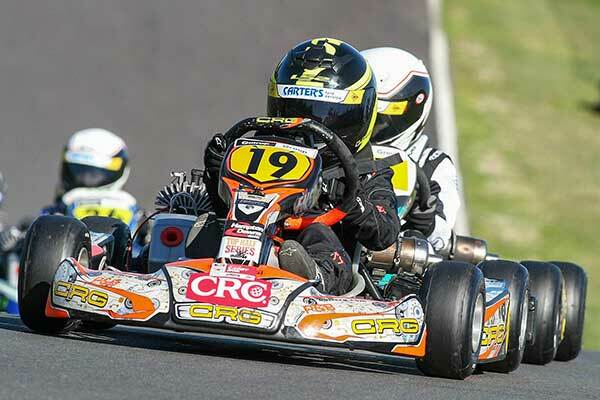 The weekend before Smyth made a competitive return to the class at the Molecule ProKart Series round at Te Puke. And at Hamilton he made his return complete with overall class victory over Brandon Lambert and his (Smyth’s) teammate and fellow former class pace-setter Ryan Grant. 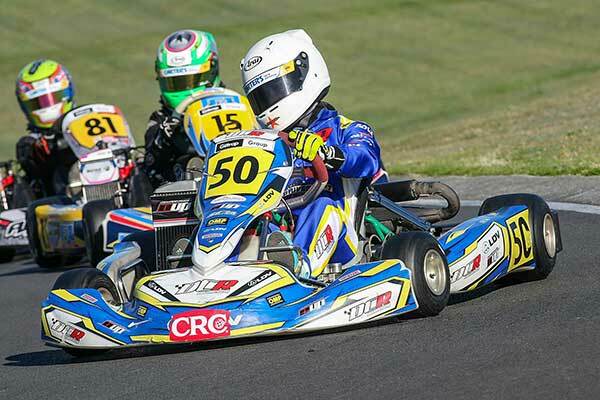 Four wins from five starts saw victory in the Right Karts Rotax DD2 class go to Auckland’s Jason Lee from Giltrap Group NZ Rotax Max Series sparring partner Jono Buxeda, and Tony Walker. Young Whangarei driver Braeden Snowden used consistency, meanwhile, to claim an impressive class win in the Urban Performance-backed Rotax Max Light class, leading home Matthew Payne by a single point. Four wins from five starts were more than enough, however, to guarantee class wins to Caleb Hartley (TCB Motorsport Rotax Max Heavy) and Stephen Muggeridge (WRB Karting Supplies ClubSport 120) in the other Senior classes contested at the meeting. Class sponsors this year are International Kart Supplies (Cadet ROK), Supreme Kart Supplies (Vortex Mini ROK and DVS Junior), Spartan Auto Dismantlers (Rotax Max Junior), WestSpeed Motorsport (KZ2), Urban Performance (Rotax Max Light), TCB Motorsport (125cc Rotax Max Heavy), WRB Karting Supplies (ClubSport 120), and Right Karts (Rotax DD2). A number of other companies are also supporting the series with cash or product promo prizes. 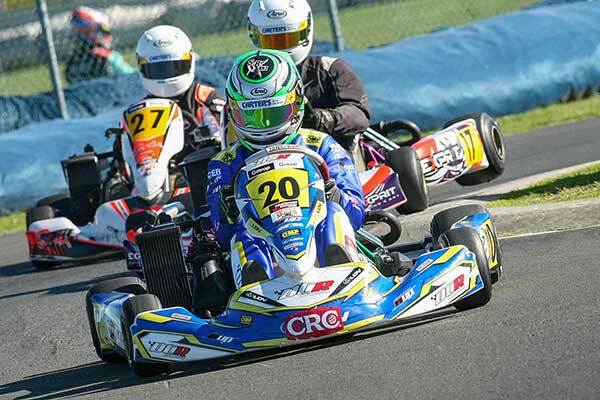 The next round of the 2018 series will be hosted by the KartSport Auckland club at its Giltrap Group Raceway on Auckland’s Rosebank Domain on Sunday September 09.